Problems are avoided when prevented. Taking good precautions that will eliminate the possibility of malfunctions is important not just for purposes of convenience but basically of safety. Surely, nobody likes dealing with worn weather seals but some parts are extremely important for the safety of people. Garage doors are manufactured with the required specifications and installed with the idea of keeping any trouble out of the house. They should inspire security and provide security and most certainly an overhead door sagging to the side is not exactly what homeowners expect to see. Although such issues are already enough for troublesome situations, don't underestimate the fact that some problems won't only compromise security but also safety and no one wants to play with such matters. 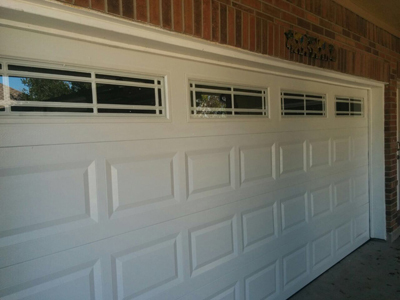 Prevention of trouble begins by choosing the right materials and durable garage door parts of the perfect size for the door. The simplest thing like choosing a large size setscrews and nuts for a heavy door can make a difference to its stability. Installing multiple brackets to secure tracks when you are situated in an area often stroke by hurricanes is also prudent and can prevent extremely serious problems, like the door blown by the winds. It's surely vital to make sure the components are made of hard low gauge steel and are of the right size. This will ensure that the door will be stable. 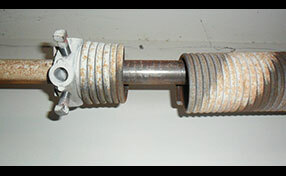 Apart from proper installation all mechanical and garage door opener parts need good maintenance. The system doesn't fail to function all of a sudden unless unpredicted external factors affect its behavior but even in this case when components are properly lubricated, tightened and replaced when worn and rusty, problems won't put anyone in danger. It's essential that overhead door springs are replaced before they break and that the sensing opener devices are often adjusted and checked for their efficiency. Problems begin when the overhead door cannot close well or doesn't open and when the sensors cannot ensure your protection. Though, such problems can be avoided when they're detected at an early stage. The good news is that there are always solutions to issues. There's nothing that it can't be repaired and there's always room to reinforce the strength of the door and improve its behavior for the avoidance of serious problems, and so for the avoidance of accidents.